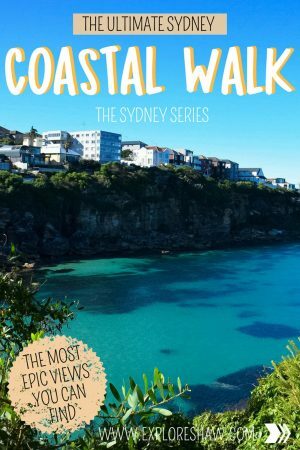 It’s surprising to think that a walking trail anywhere could regularly be listed as one of the destinations top attractions, but after actually taking the six kilometre walk from Bondi to Coogee beach you will completely understand. The cliff top walk across the coastal Eastern suburbs of Sydney winds across cliffs, beaches, bays, parks and rock pools and offers some spectacular views of the New South Wales coastline, with each beach offering something unique. 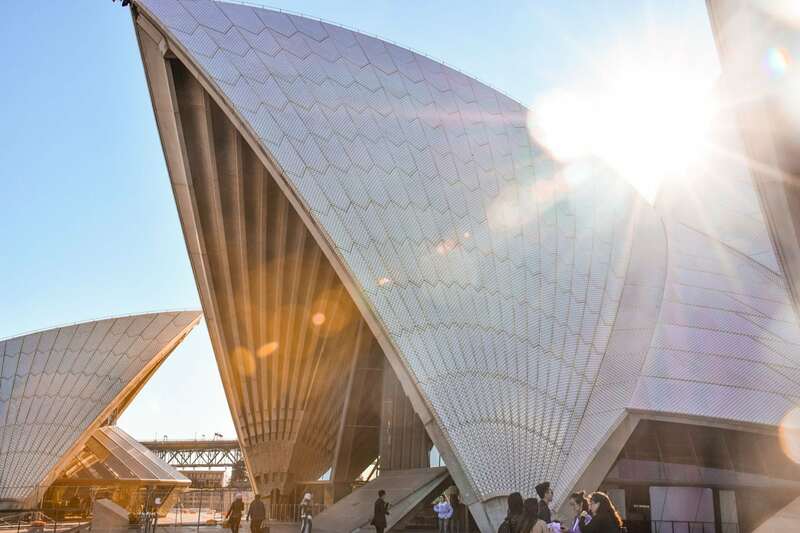 Beginning with the closest ocean beach to the centre of Sydney, Bondi Beach is famous for it’s wide shore with pristine sands, glistening ocean, reliable surf and of course the TV show Bondi Rescue. 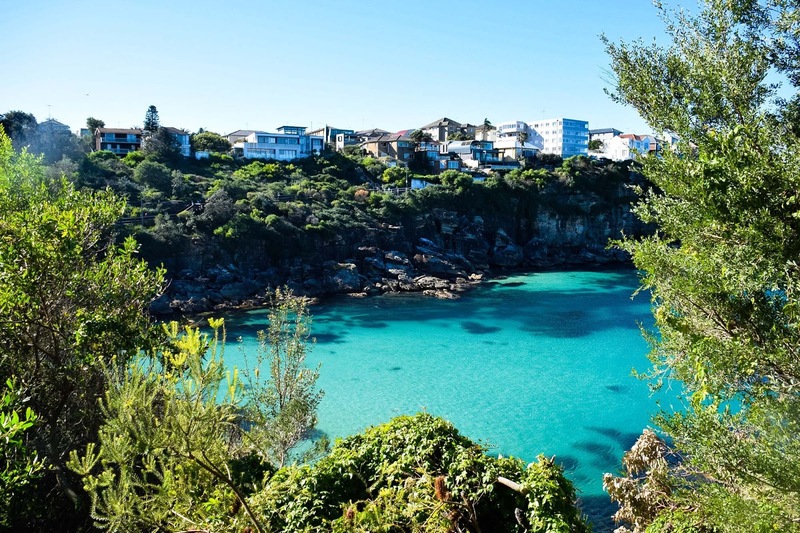 Only a bus ride away from the city, Bondi is extremely popular with locals and tourists and can be absolutely packed on a hot day. The walk begins at the bottom of Notts Avenue, near the Icebergs pool in South Bondi. 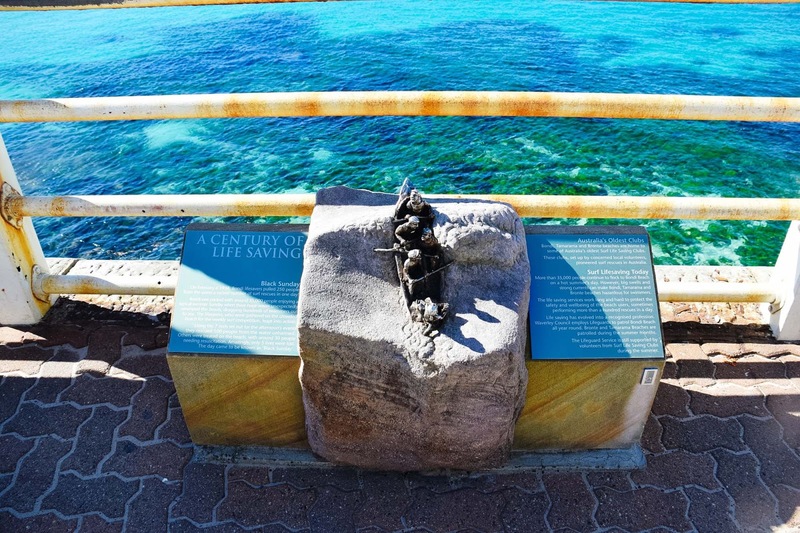 Along this walkway keep an eye out for a surviving Aboriginal rock engraving of a shark or whale just past the steps below Marks Park. The path continues around a cove and a small inlet called McKenzies Bay. 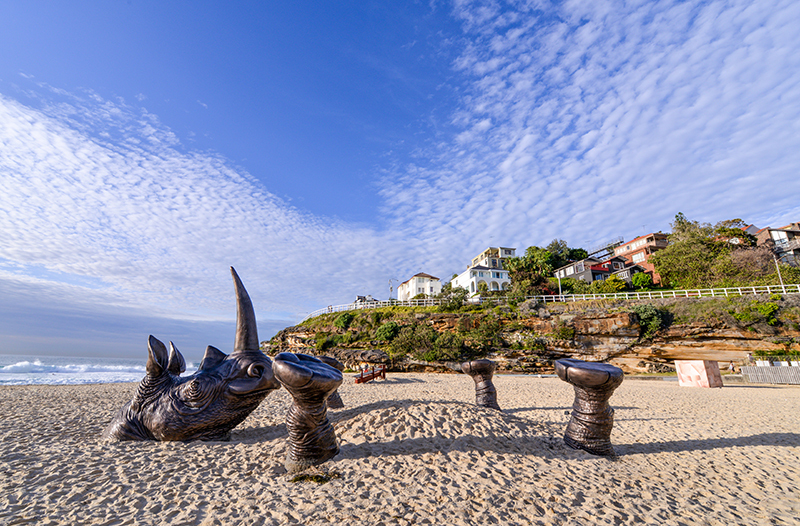 The walk from Bondi to Tamarama is where you will find the epic Sculptures of the Sea, celebrating their 20th anniversary this year. Hanging around for approximately three weeks every spring, this free exhibition is unique to Sydney, offering pieces by artists from all over the world and proudly the largest annual sculpture exhibition in the world. 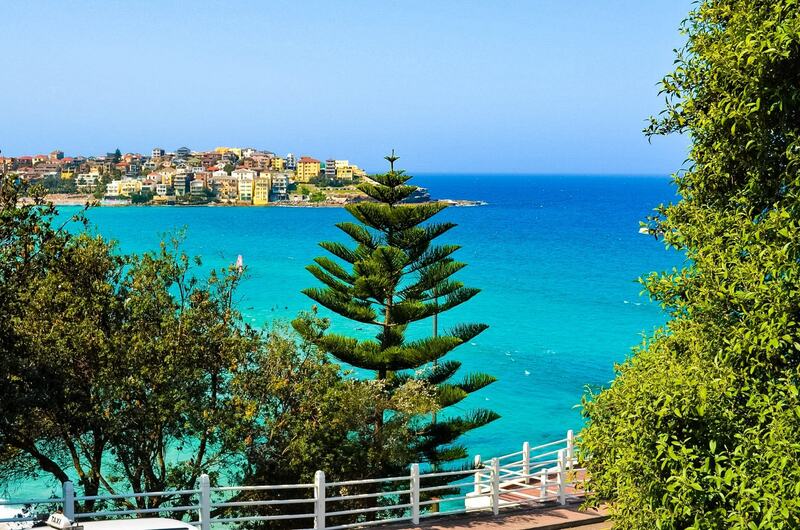 Tamarama itself is a smaller ocean beach, popular with surfers and is known as the place to be seen. Tamarama Beach and Bronte Beach are only a few hundred metres apart and offers great views of the Pacific Ocean as well as a prime spot to watch the local surfers. 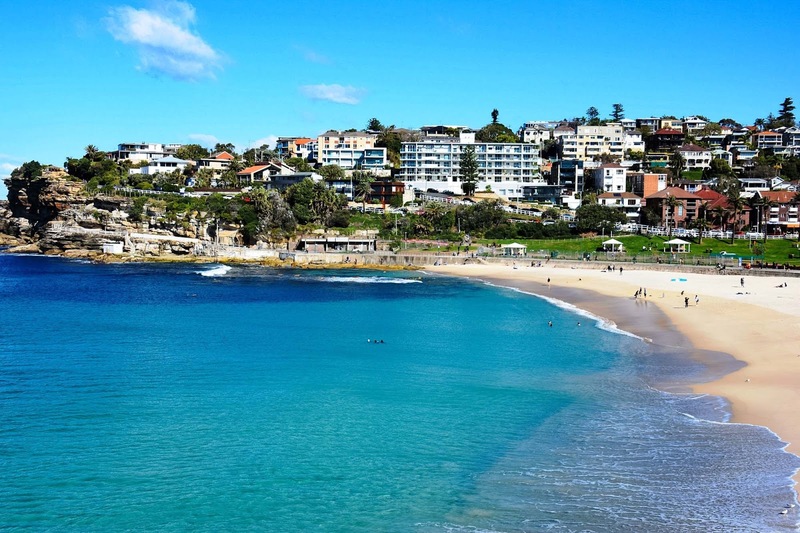 Bronte Beach is one of the larger and more popular beaches along the coastal walk, with beautiful surrounding parklands, a large grassy lawn, excellent picnic and BBQ facilities and plenty of places to grab food and drinks. 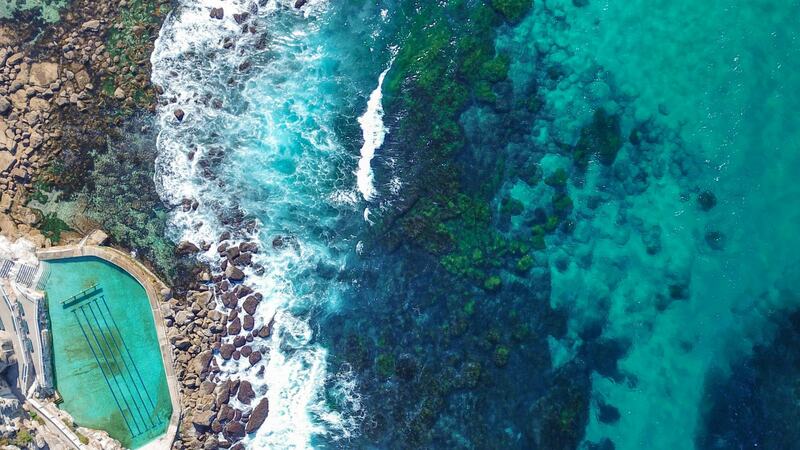 Bronte is well known for it’s two rock pools, one natural and one which is man made. The natural rock pool is popular with kids, while the made-made pool is a 30 metre ocean pool on the southern end of the beach. Bronte is also where you can find the Bogey Hole, which is a heritage listed sea bath. The Bronte to Clovelly walk is a winding boardwalk sitting on the top of the cliffs, with strong waves breaking at the base below. There are quite a few stairs in this section of the walk and it can be quite steep in some parts. 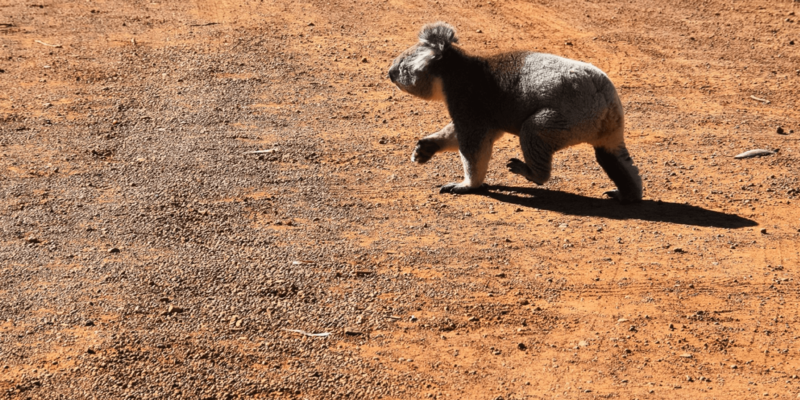 The path beyond the Bronte Rock Pool does not link up to the walk, so you will need to climb up the steps to the parking area across the road from the Bronte Road cafe strip and then turn left and follow the pathway through a steep cutting until you reach Calga Reserve. 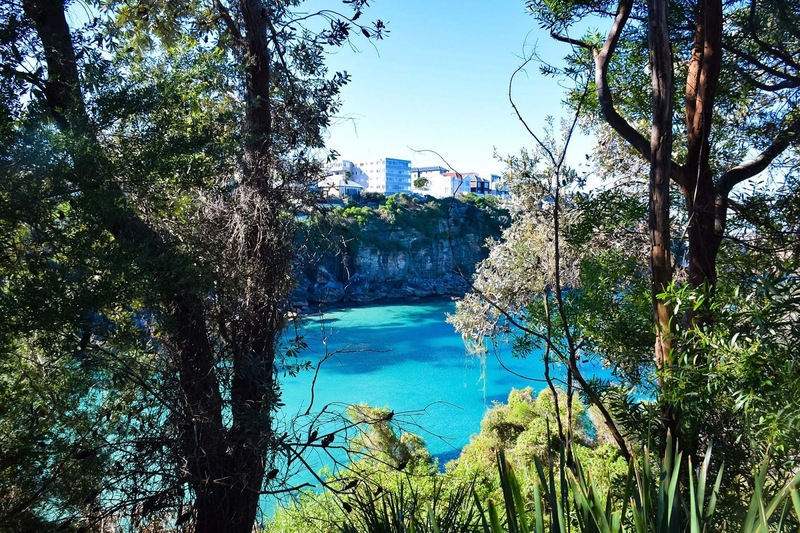 From this part of the walk you can also see the historic Waverley Cemetery on top of the sandstone cliffs and rock platforms. 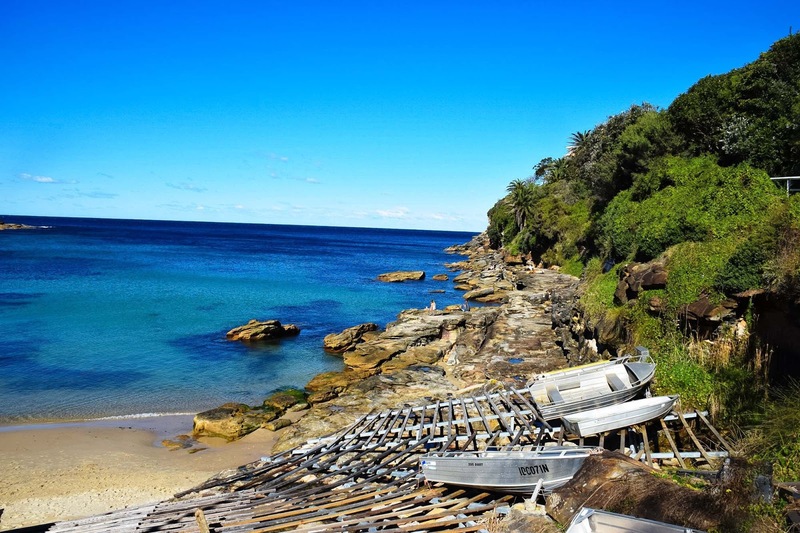 Clovelly Beach is small and family friendly, sitting at the end of a narrow bay between two rocky ridges. 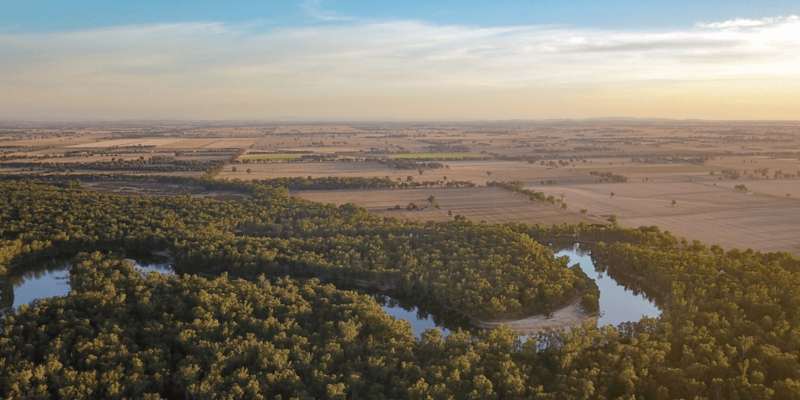 It is popular with families due to it’s protected and pristine environment. The bay is a top spot for snorkellers, with underwater visibility all year round and a wide range of marine life. There are access steps right into the water, making it feel like a large ocean pool rather than a beach. The walk from Clovelly to Coogee is quite hilly, with great views of Coogee and Gordons Bay the whole way around. Gordons Bay is a beautiful protected aquatic reserve. 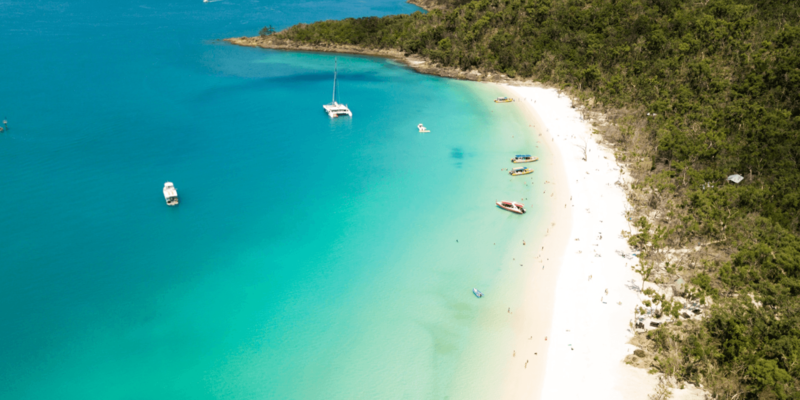 Found at the bottom of a deep gully, this teeny tiny beach is lined with racks of boats from the local fishing club, reminiscent of a European fishing village. 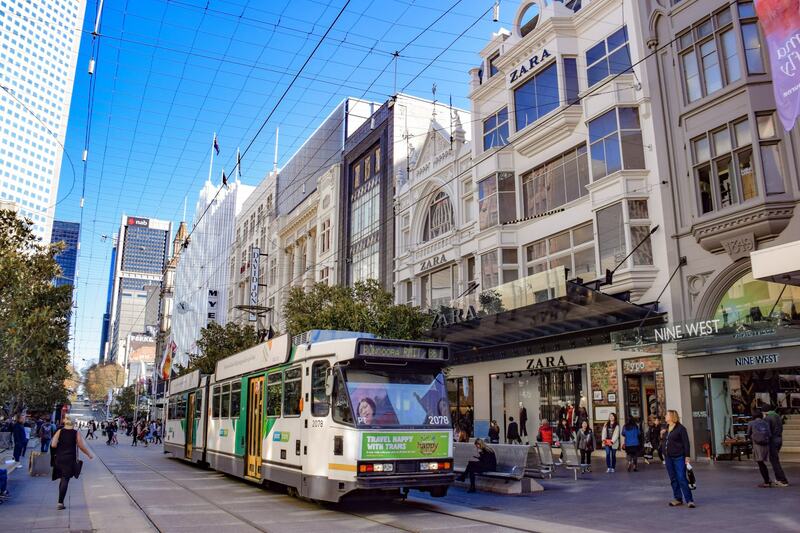 Book your car rental for your Sydney road trips HERE. On sunny days you can find locals sunbathing all over the empty boat racks and surrounding rocks that line the bay. Gordons Bay also offers a particularly unique Underwater Nature Trail, which is a self-guided scuba diving or snorkelling pathway on the ocean floor. 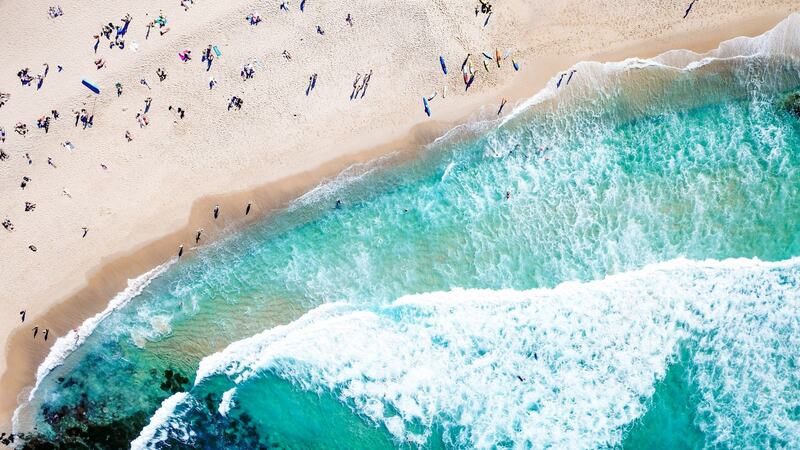 Coogee Beach is a shimmering beach and a protected marine reserve that is great for swimming, but not for surfing. The beach is sheltered by a rock island called Wedding Cake Island, which keeps the waves away making it a calmer option than the surrounding beaches. 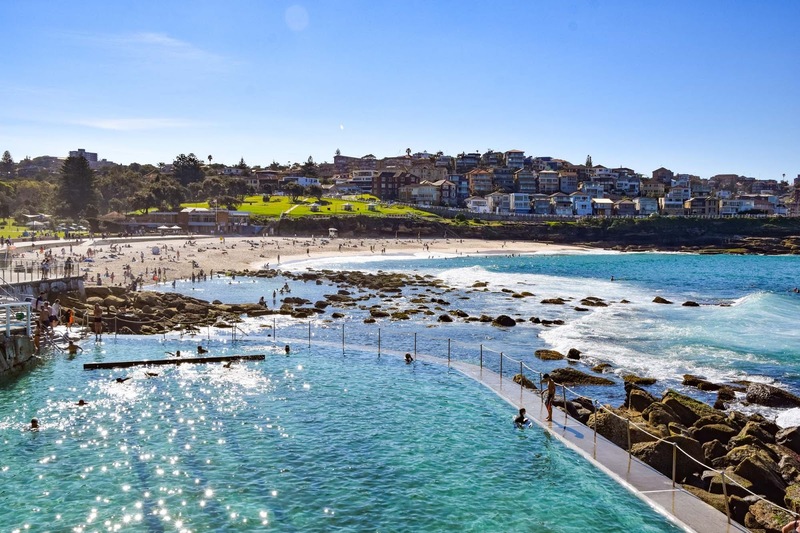 Coogee is full of rock pools with Giles Baths at the northern end and man-made Ross Jones Memorial Baths at the southern end near the Coogee Surf Life Saving Club. 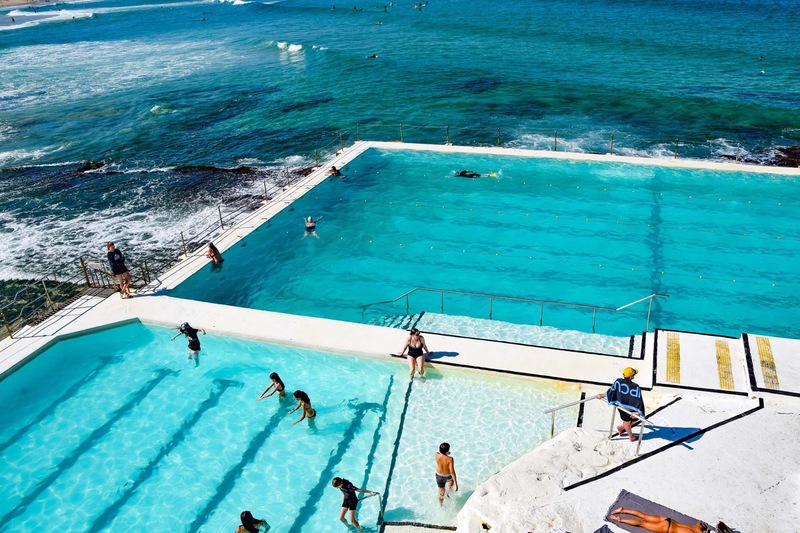 Just a few minutes walk south of the beach is where you can find two of Sydney’s most spectacular ocean pools, McIvers Baths (for women and children only) and Wylie’s Baths. 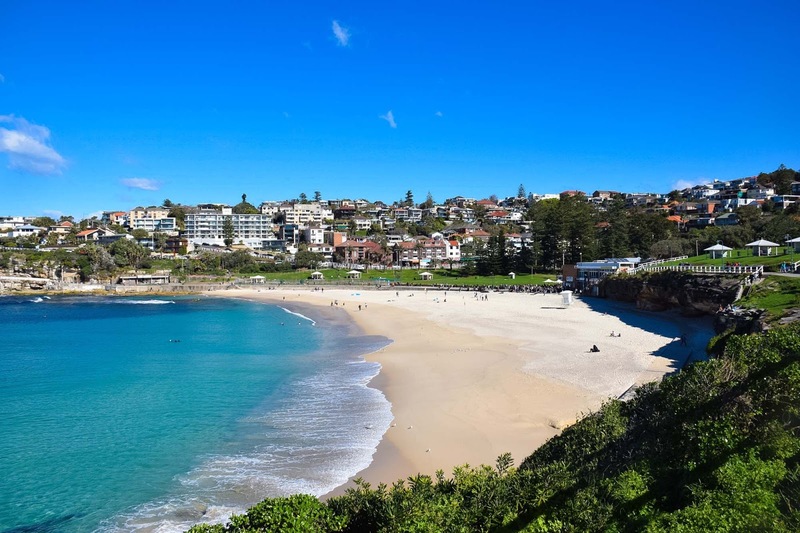 While Coogee Beach concludes the majority and completed section of the coastal walk, you can continue around to Maroubra through the surrounding suburban streets. 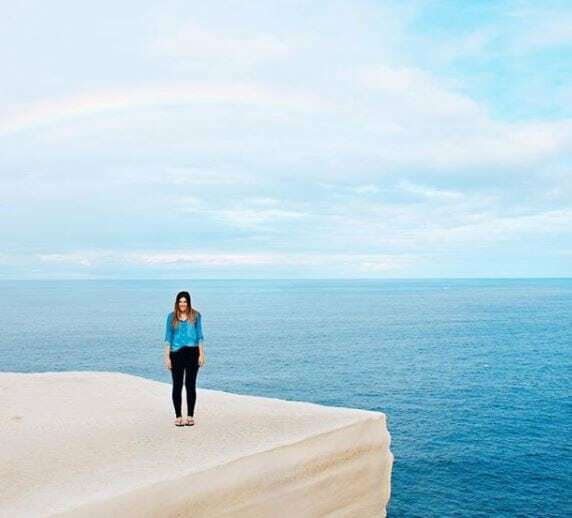 Extending the coastal walk all the way to Maroubra is currently being worked on which would add almost three more kilometres to the popular walk.